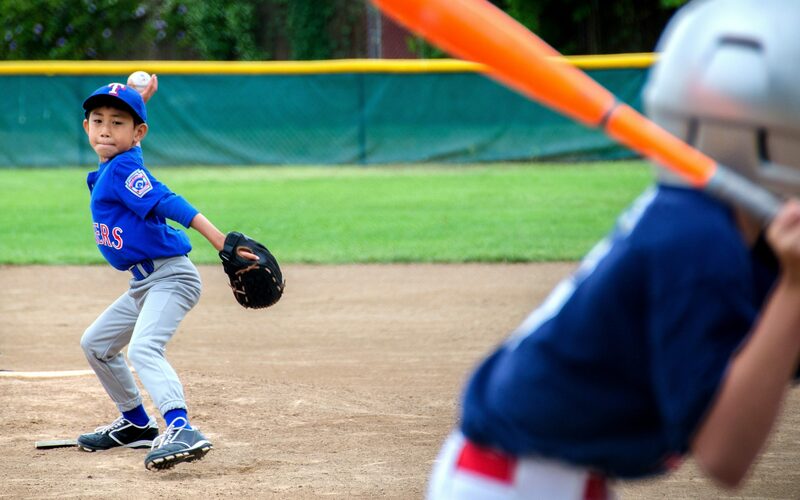 Your Voice is a way for readers to share questions with us, and an opportunity for Little League® to provide some important information and guidance. We are excited about our continued conversations, and, as always, we invite you to share your thoughts, suggestions, and questions to parents@LittleLeague.org. Josh from Texas – I saw that Little League® recently decertified a USA Baseball bat, what does that mean? Little League – For the USABat Standard, bat manufacturers are required by USA Baseball to have their bats certified by following the protocols set out by the standard. Once a bat is certified, additional compliance testing is done to make sure that the bats remain complaint with that standard. Little League® International has no role in bat testing or compliance testing. On Thursday, May 3, Little League and other youth baseball organizations, were informed that the Easton Ghost X YBB18GX10 30/20 2 5/8″ (or the “Easton Ghost X 30/20 5/8” at retail) – previously approved by USA baseball no longer meets the USA Baseball Bat Standard adopted by Little League Baseball®, and has been decertified (Learn More on LittleLeague.org). For those parents and leagues who purchased the Easton Ghost X, 30” -10 USA Baseball bat (model #’s YBB18GX10 30/20 & LL18GHX 30/20 Japan model), we strongly encourage you to read Easton’s release and contact them as soon as possible at 1-844-531-7079, or ghostreturn@easton.com, to return your bat and receive your $500 electronic voucher. Murray from Oklahoma – Do the designated days of rest required by Little League Pitch Count work hour-by-hour or day-to-day? Little League – The Little League Pitch Count for baseball has designated days of rest required for the number of pitches throw in a day. The thresholds are tied to a player’s age, regardless of the division of play. For managing the pitch count, a day is a day, meaning that if a player throws a certain number of pitches on a given day, the calendar day, not the time of day, is the determining factor for how many days of rest is required. So, for example, if a league age 12-year-old throws 60 pitches at a game on Monday, the pitcher needs three calendar days of rest, and would be eligible to pitch again on Friday. Amber from California – My child is consistently not being played for six outs due to our games only being three innings because of a time limit. Per the Little League® rule book, it states that any outs not played must be made up in next game. My coach is under the impression that because time runs out it’s OK that my child might have played just one inning. Can you please verify this for me? Little League – By rule, Little League® Mandatory Play requires any player below Senior Division to participate in every game, whether it be a regular season or Little League International tournament game. This rule cannot be waived for any reason, unless the game is shortened. The time limit placed on your league’s games, in the division in which your child is playing meets that exception. It is recommended, however, that in these situations the player(s) who did not receive their allotment of defensive innings and at-bat, start the next game. AnnaMarie from Utah – My daughter’s team plays games against other Little Leagues in our area, and I see some teams with the Little League® patch on their uniforms and others without. Is there a rule about wearing the patch? Little League – The Little League® patch has been worn by millions of Little Leaguers® over the course of our nearly 80 year history, and is a way to show that your league belongs to our worldwide community. Yes, by rule, the patch is a required element of each player’s uniform. However, Little League International does not impose a penalty for those teams not wearing patches on regular-season uniforms. During the tournament season, however, as games are played under the auspices of the Little League International Tournament Committee in Williamsport, Pa., the Little League patch must appear on the uniform or the team may be removed from the tournament. Patches are available for purchase through the Little League store. Justin from Missouri – Do you have any resources to help parents with the annual rule changes? Little League – Little League® is constantly striving to improve the operation of its local leagues and, at the same time, bettering the experience for is players and volunteers. With the relaunched LittleLeauge.org, the new LittleLeague.org/Rules landing page is the best place to see all things rules and regulations, including all of the changes for the coming year and if there are any new or updated rules that aren’t included in the rulebook to be aware of. Earlier in 2018, District Administrators, delegates, and volunteers convened at the Little League International Congress to review the current state of the program and discuss prospective new rules, and existing rules and regulations. Little League International seeks the opinion and perspective of this group of volunteers, who represent the local leagues to vote on new rules and regulations every two years, alternating between the Little League International Congress and the Regional Roundtables. Beyond the Congress and the Roundtables, the Little League International Rules Committee has the authority to adjust regular season and tournament rules as need-be. Little League International is committed to informing every one of those new rules, and LittleLeague.org/Rules is the best place to stay on top of those updates. Tom from North Carolina – Is the Little League® Data Center just for league officials to use? Little League – The volunteers who serve on a local league’s Board of Directors, as well as District Administrators and district staff members use the Little League® Data Center as an operation and management tool. It is a secure, online repository of information that is only accessible to league and district officials. The Data Center has many functions, including chartering and insurance enrollment, A Safety Awareness Program (ASAP) submission, Combined Teams/Interleague Play requests, and International Tournament enrollment, financial operations, and other functionalities. Parents not serving on a local league Board of Directors do not have access to this portal, but if there are questions that can be answered by a Little League official referring to the information on the Data Center, those with approved access can use it for reference, or as a resource.